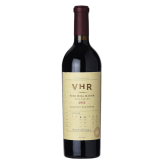 Vine Hill Ranch Cabernet Sauvignon is the culmination of the Phillips family’s evolution from grape-growing to winemaking. Years of traversing vineyard rows and caring for each of Vine Hill Ranch’s seven blocks have imbued a deep understanding of the vineyard’s unique characteristics. Cabernet Sauvignon thrives in the well-drained soil and temperate climate of the family’s vineyard. Tucked along the wooded hills of the Mayacamas Range near Oakville, fruit from the higher vineyard blocks exudes an earthy, forest floor chaparral quality. Here, the sloping grade and gravelly soil where the most mature vines are planted produce intense, concentrated and expressive black fruit. Blocks on the lower benchland, with its deep, loamy soils and younger vines, yield bright fruit flavours and fine tannins full of verve and energy. A hands-off approach to winemaking is employed: harvesting at optimal ripeness, sorting fruit meticulously, cold-soaking crushed berries, extending maceration, using native yeast, and aging in new French oak barrels. Each lot is vinified separately to promote the unique expressions of the vineyard blocks. Winemaker Françoise Peschon’s roots are in Luxembourg, but he was raised in California’s wine country. Françoise is an Enology graduate from UC Davis, and following post-graduate work at the University of Bordeaux and an apprenticeship at Château Haut-Brion, Françoise returned to the Napa Valley. The reputation of the Phillips family vineyard drew her to Vine Hill Ranch in 2008. She collaborates closely in the field with vineyard manager Michael Wolf to craft a wine that is dynamic, powerful, and elegant – a Cabernet Sauvignon that is soulful expression of the site.